Unbelievable as it may be, we are gathering on the last day of May for the very first MNSC tasting of the year. 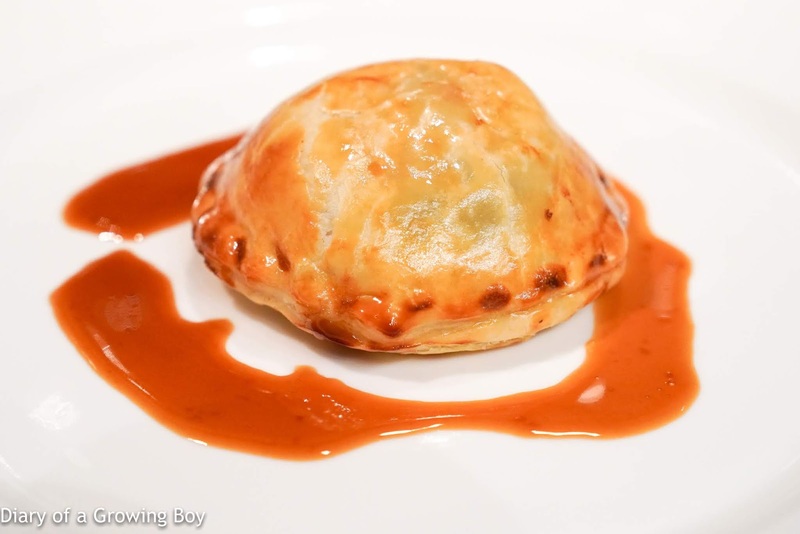 The Ox was hosting and we're back to Amuse Bouche for its tasty food, reasonable pricing, and excellent wine service. 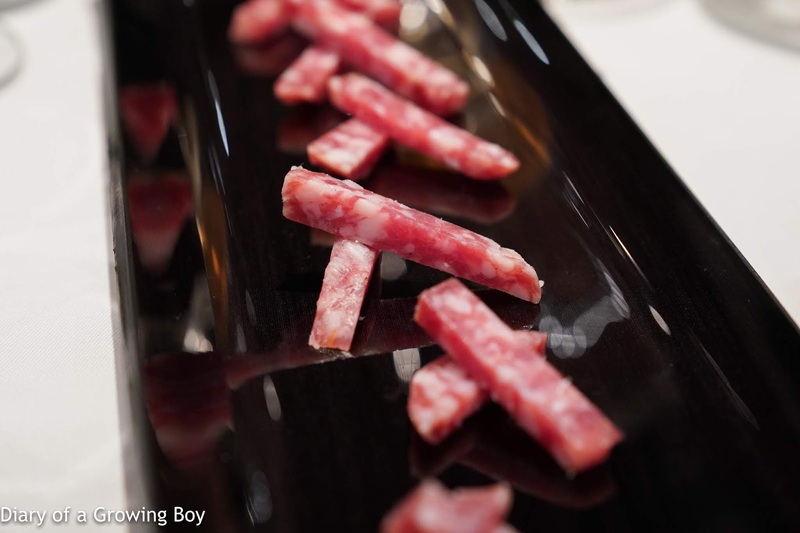 We started with some saucission to accompany our bubbly aperitif. Amuse bouche - the smoked salmon tartare came with some good acidity, and outshone the little dollop of caviar on top. Jamón ibérico on the side. 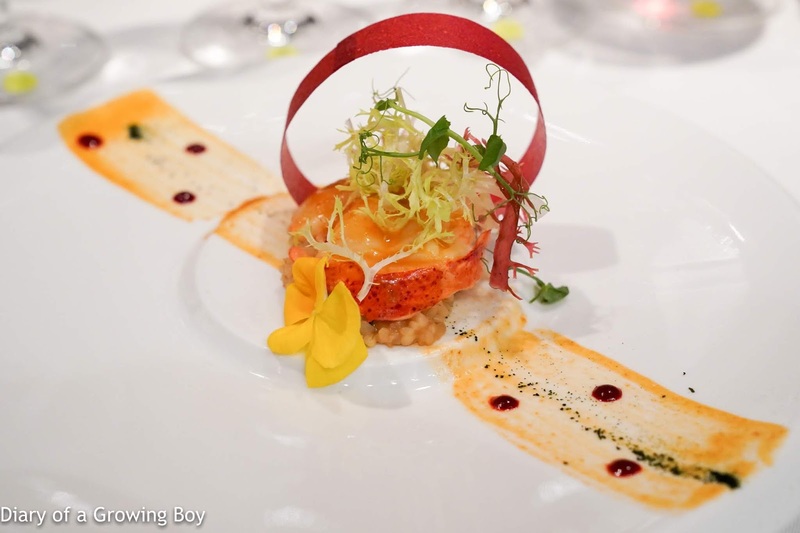 Maine lobster medallion, tasty bulgur and forgotten roots on a coral emulsion - the lobster tail was fine, but goddamn that lobster claw was VILE! It had definitely gone off and just tasted FOUL. Blegh! I was too polite to spit it out. 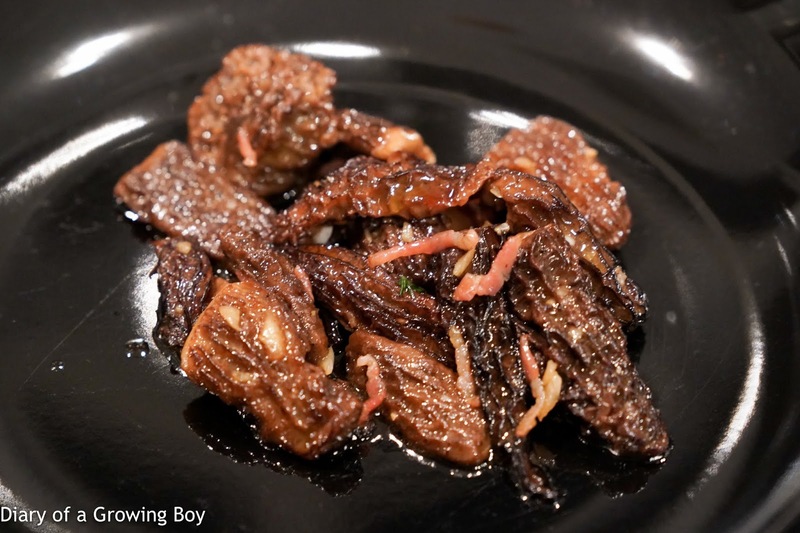 Smoked and sauteed fresh French morel mushrooms flavoured with thyme parsley, La Bigourdane bacon - this, on the other hand, was beautiful. Wonderful and deep flavors of mushrooms, with strong, smoky flavors and delicious little chiffonade of bacon. Timbale of mezzi tufoli stuffed by creamy frog legs, morels and black truffles - this was OK... The frog legs were nice, but the mezzi tufoli - which wasn't great to begin with - came stuffed with chunks of chicken purée with herbs steamed together with the pasta. Even the little bit of truffle sauce on the side couldn't save it. 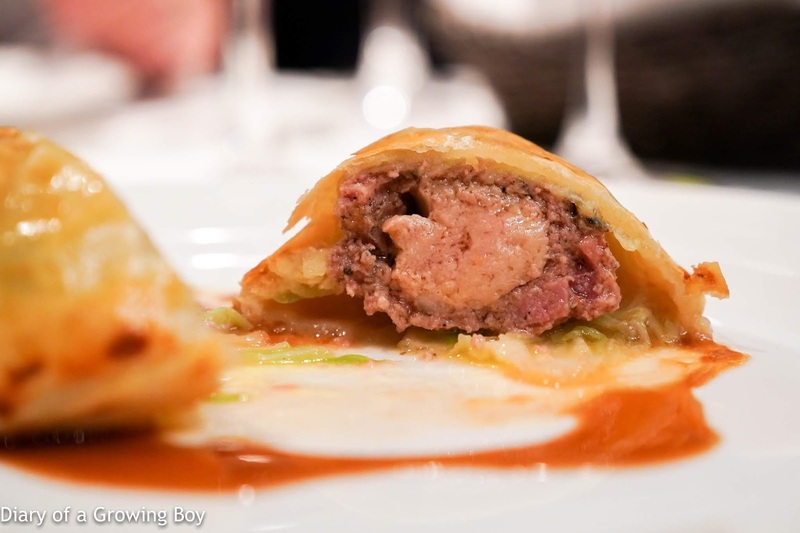 Homemade fine duck pie stuffed with Jabugo ham, foie gras, green cabbage and a natural jus - I'm a big fan of pithiviers, and this looked promising when it arrived. 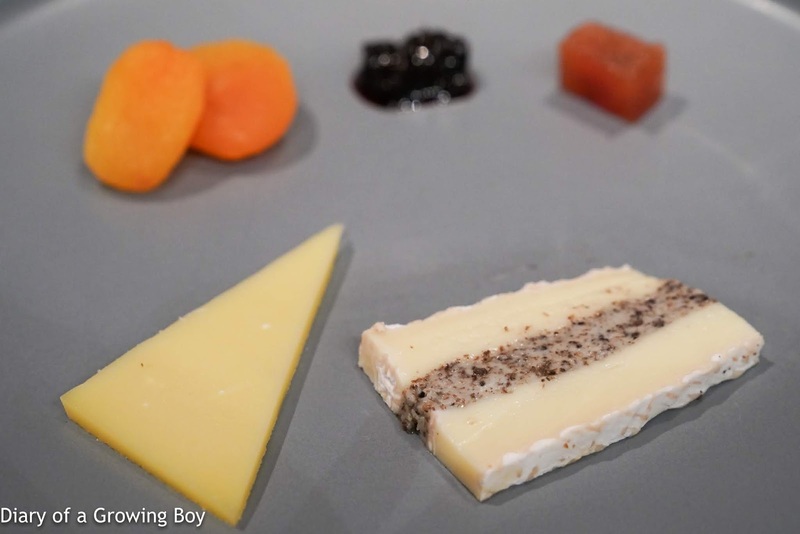 Inside we have a nice, big chunk of foie gras surrounded by a mix of duck, jam, and finely ground truffle. This was solid and beautiful. Hands down the best dish of the evening. 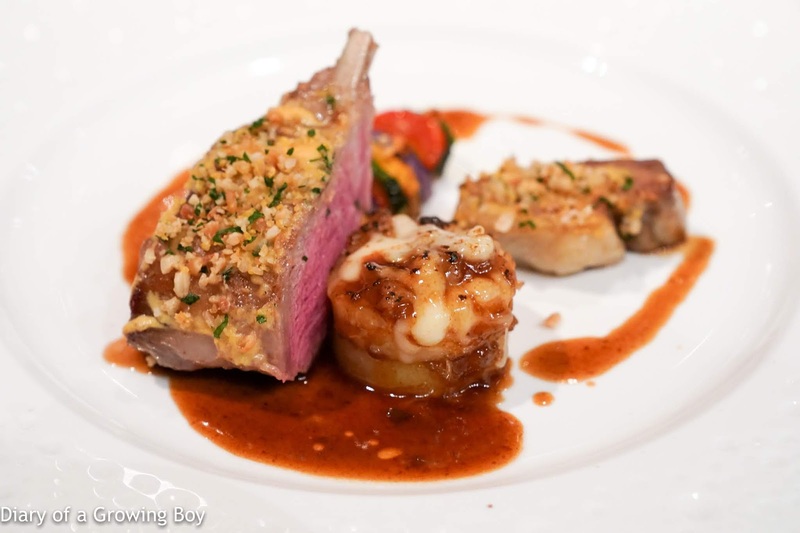 Roasted Aveyron rack of lamb and fondant of breast in a fine crust of pine nuts, lemon and parsley, ratatouille tian and boulangère potatoes - the lamb rack was slow-cooked before roasting, and the crust was pretty nice... especially with some lemon zest to deliver some kick. The breast was first braised then roasted, and came with a layer of delicious lamb fat. The tian of ratatouille was nice, and there was a little bit of caramelized onion jam on top of the potatoes. But an MNSC dinner is mostly about the wines, and tonight our host delivered a stunning lineup of a vertical of Bordeaux's famed Château Latour. 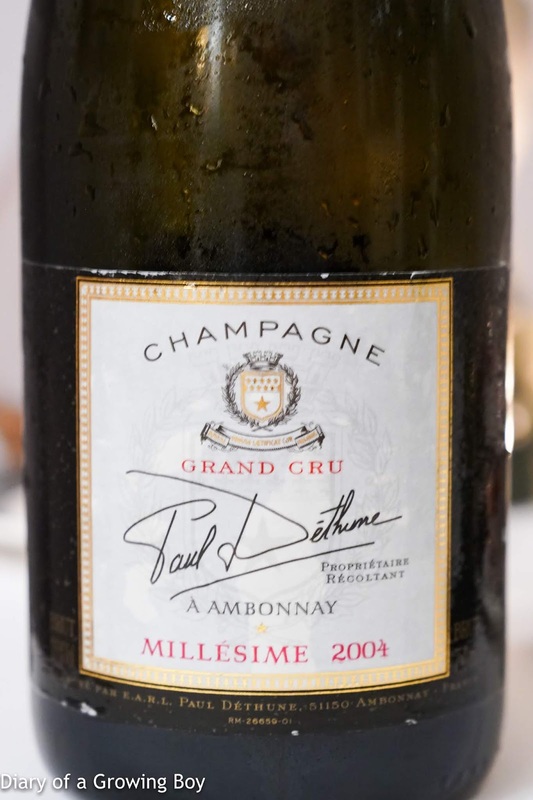 2004 Paul Déthune, dégorgée en janvier 2012 - nice and lovely nose, with some caramelized sweetness and mineral notes. 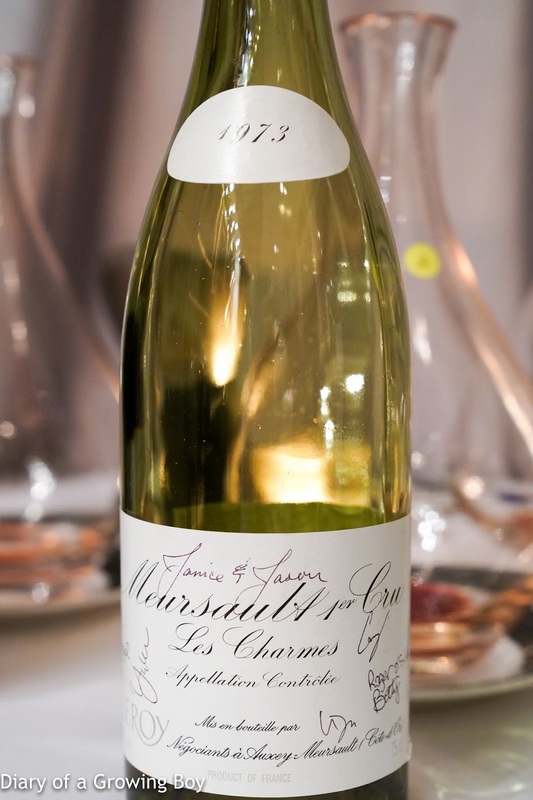 1973 Leroy Meursault 1er Cru Les Charmes - very sweet on the nose, plenty of vanilla and almost marzipan, also marmalade. 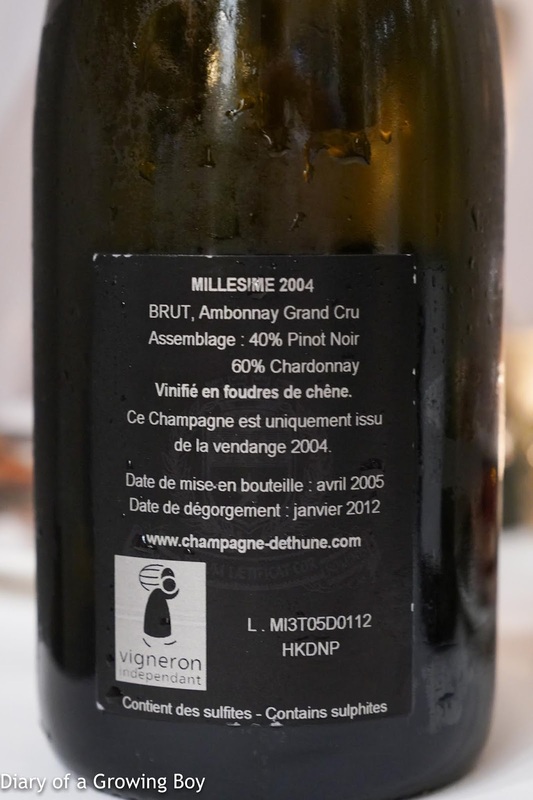 High acidity on the palate with oxidation. Drinking beautifully. First flight: popped and poured in decanter just before serving. 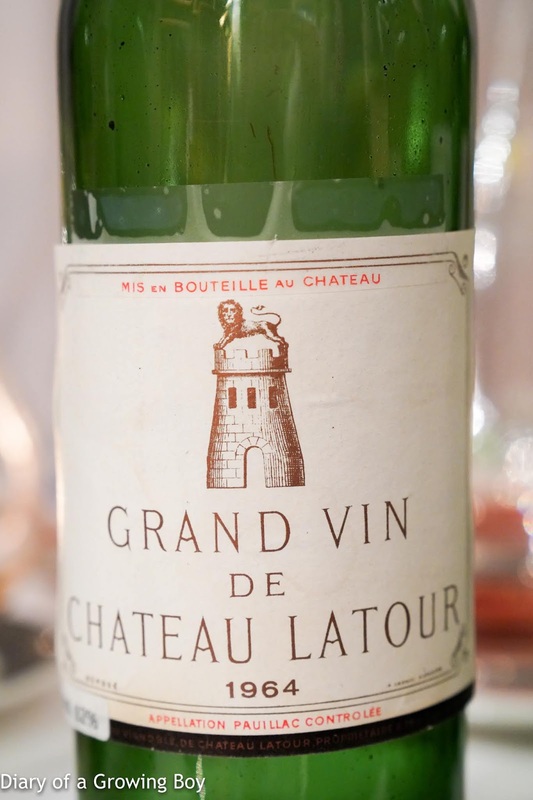 1964 Latour - very minty, savory, with a hint of black olives, plus sweet fruit on the nose. Palate was dry. Also some stewed fruits and smoke. 91 points. 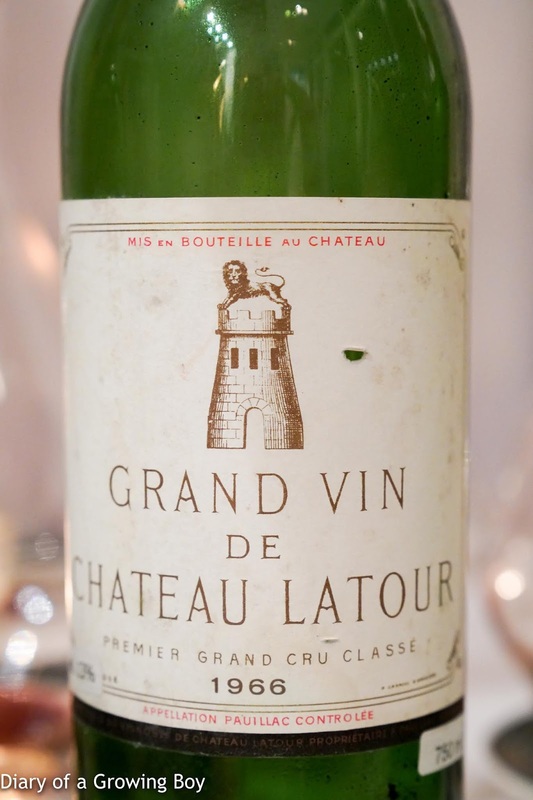 1966 Latour - more minty than the '64, also more green and vegetal, grassy. Nose was much cleaner, with lead pencil and graphite notes, and very big and smoky. 94 points. Second flight: decanted for 3 hours prior to serving. 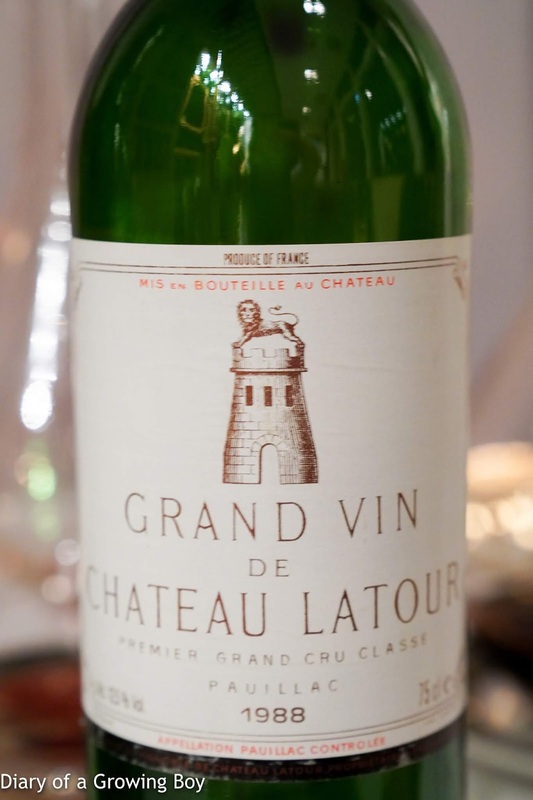 1982 Latour, ex-château - a beautiful wine. Smoke, coffee, pencil lead, sweet fruit, fragrant, a hint of grass. But also a little chalky and dirty. A little leather but slightly stinky, with a hint of hospital disinfectant. 98 points. 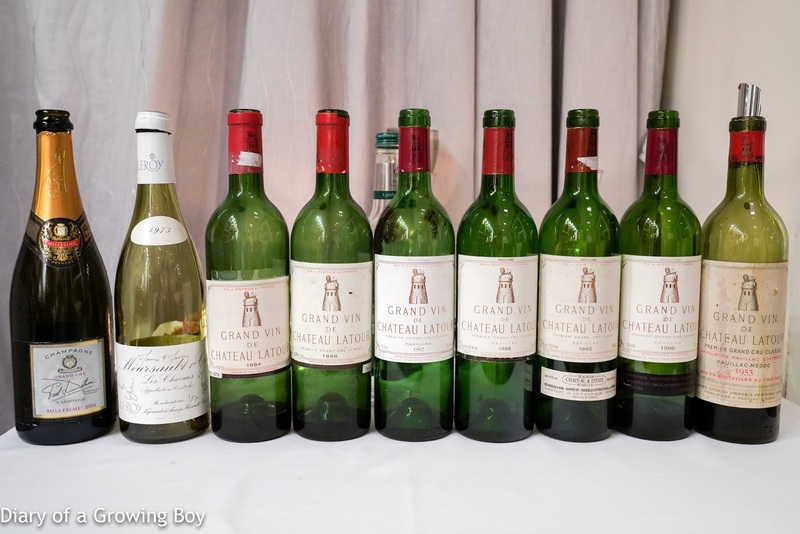 1988 Latour - smoky, leaner than the '82, with more green pepper, and a bit cloudy. 93 points. Third flight: decanted more than 4 hours before serving. 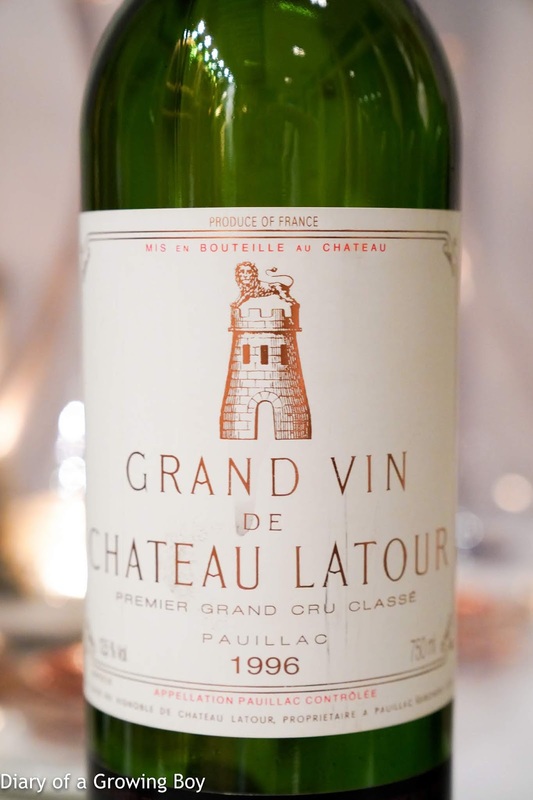 1990 Latour - older and more elegant, some leather, smoke, and fragrant nose. A little riper and softer on the palate. 95 points. 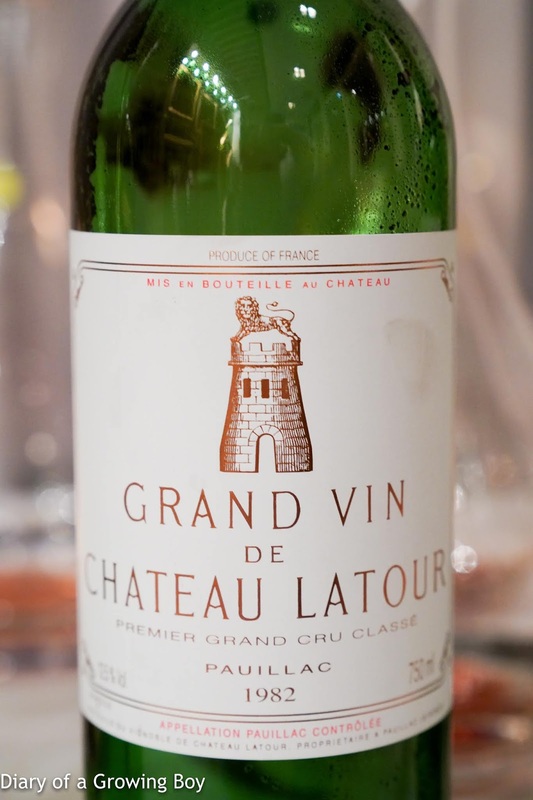 1996 Latour - minty, leaner, a bit of smoke, but really dusty and chalky for some reason, even after changing glasses. 93 points. 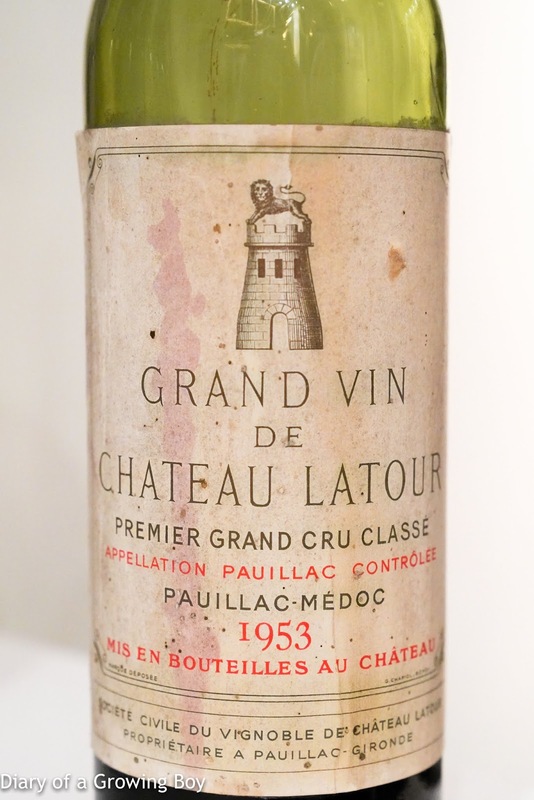 1953 Latour - nutty, a little marzipan, pretty sweet, maybe a little tonka bean, minty, and smoky. High acidity. Many thanks to our generous host for the amazing wines. 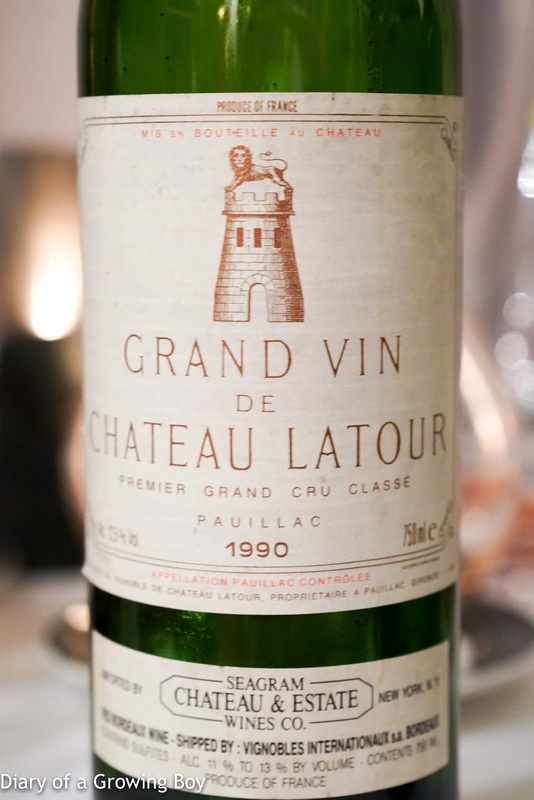 It's not often that one gets to taste a pristine bottle of 1982 Latour, and it was beautiful tonight.